Sale dates: August 8, 9 &10, 2013 from 8-5 each day. All items priced to sell. Whether you call it a tag sale, a yard sale, garage sale, sidewalk sale, or thrift sale…it’s all about bargains waiting for you each year on the second full weekend (Thursday, Friday and Saturday) in August to shop both the Indiana Lincoln Highway Byway and the Ohio Lincoln Highway BUY-WAY. The project goal is to have homeowners, businesses, organizations and communities along the byways participate. The greater the participation, the greater the profits and the more fun for everyone! Plan now to host a sale, a car show, or a sidewalk sale along the Lincoln Highway–and you keep the profits! Just about anything you want or need will be along the road to purchase ‘on the cheap” during the 7th annual Lincoln Highway BUY-WAY Yard Sale, to be held Thursday August 9, Friday August 10, and Saturday August 11 across Indiana and Ohio. The first year of the sale in Ohio had over 250 yard sales. The sale has grown substantially each year, and Indiana and Illinois have joined in, with West Virginia now setting out goods, as well. Now Ohio, alone, offers over one thousand individual sale events over the 3 day period and Indiana wants to catch up! 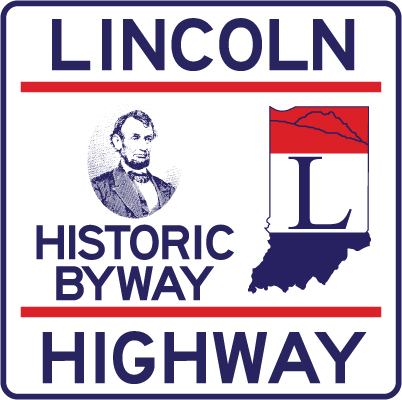 The Indiana Lincoln Highway Association urges communities to participate and promote the event. Individual communities benefit by exposing travelers to their downtowns, unique businesses, attractions and restaurants. Local organizations and churches are invited to offer sales and food to raise money for their causes. Communities are invited to advertise their farmers markets, sidewalk sales, music festivals, concerts, diners, car shows and road rallies, museums, food and kids’ activities…all to make the event more enjoyable for those traveling the historic corridor. 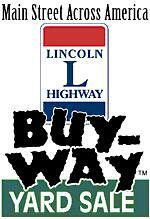 BUY-WAY sales and events will be posted on the Indiana Lincoln Highway Association’s website. Maps and driving directions can also be found on the website.